More than just language experts, our translators are subject matter experts as well. Each of our dedicated linguists has industry-recognized credentials, such as technical translation training, Masters of Technical Translation, or Localization Certification. Skilled in native translation, our specialists have hands-on experience in medical device, manufacturing, engineering, and other highly specialized industries. Not only do our specialists provide native translation expertise in over 180 languages worldwide, they’re subject matter experts who combine industry expertise with a keen understanding of local markets. And our expertise doesn’t end there. Our ISO 9001:2015 certification, coupled with 35+ years of translation industry experience, ensures thorough, efficient, well-documented project management from start to finish. 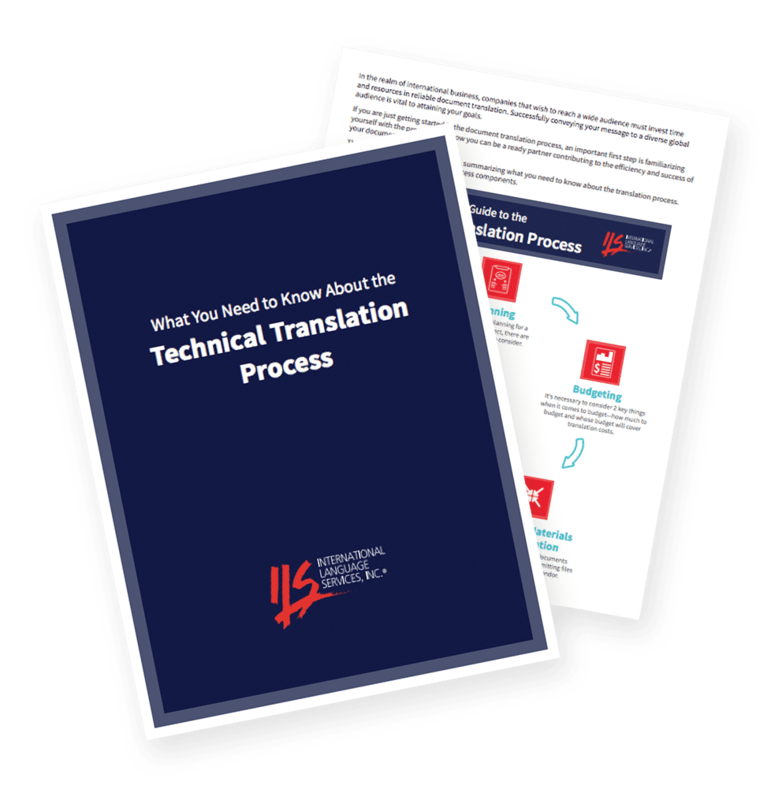 Our three-step quality control process includes editing by a second qualified translator in addition to our final in-house quality review to ensure that your delivered project is error-free and meets your high standards. How confident are we of the expertise of our translators and the quality of our finished products? We carry Errors & Omissions insurance with Lloyd’s of London. You can be sure that your translations are error-free and accurate, the first time and every time.